Maryland is one of the lucky states that gets to experience the four seasons in all their glory. Summer is hot and ideal for sailing, autumn is crisp and golden, winter is a snowy wonderland, and spring is rainy and green. Sometimes the weather fluctuates through all four seasons in a week, but that’s half the fun! Annapolis is the center Maryland. Forty minutes one direction will take you to DC, while a forty minute drive the other way will get you to the Baltimore Inner Harbor. Landing smack-dab between DC and Baltimore is very convenient for traveling between the two busy cities, but it does cause a bit of a divide with sports teams come football season. Like music? Great! How about art? Even better! And food? Don’t get us started! Annapolis is thriving with culture. If you enjoy spending your nights listening to live music, you’ll love Rams Head, five minutes down the road on West Street. But maybe you’d prefer the Annapolis Opera, Annapolis Chorale, or the Annapolis Symphony Orchestra. Visit our open air theatre and take in a musical or two, and then stop by an art gallery to check out the local talent! If you’re a history buff, we’ve got some museums you may like, too. Annapolis also boasts some delicious restaurants, large and small. There’s a wide array of options, from classic seafood (try the crab cakes anyway, extra Old Bay, please!) to Mediterranean, Mexican, French, Chinese, Italian, and more! Plus, our coffee shops are more than your average Starbucks—though don’t worry, we have those, too! Artists, midshipmen, lawyers, and restorationists. It’s hard to put the people of Annapolis in a box, but we all have one thing in common: warmth. It’s never hard to start a conversation on the docks with a stranger, or even get a great suggestion of where to find the best, cheap dinner downtown. Snowed in? There’s always someone willing to lend a hand to help shovel you out! People are kind and genuine. It’s a friendly city that’s easy to fall in love with. I couldn't be happier in Annapolis, and the longer I live in this city, the more things I find to love. It's a perfect place to learn about who you are and who you want to be. 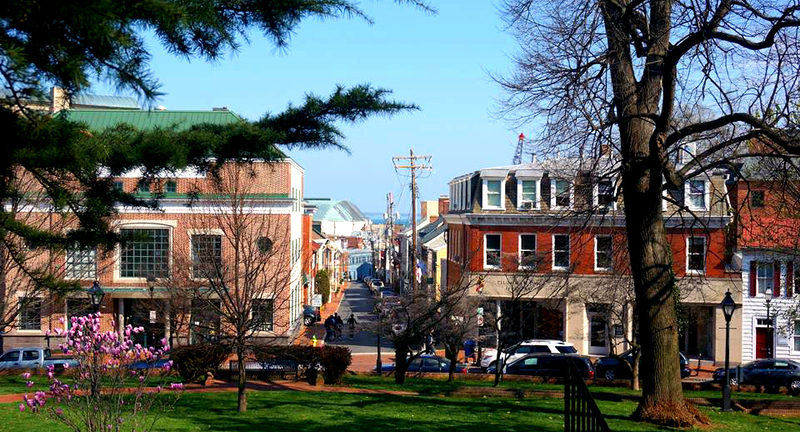 Ellicott City will always be my first home, but I'm proud to call Annapolis my new home.